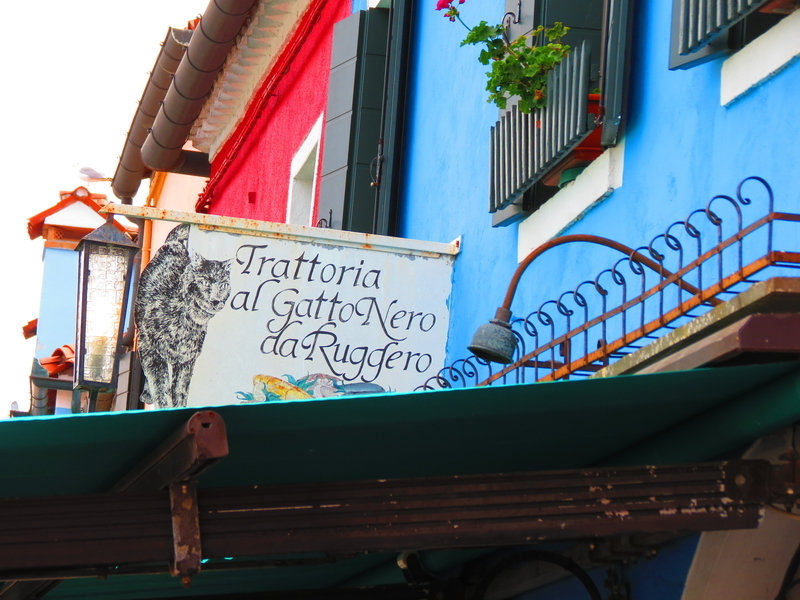 With complete confidence, I can honestly tell you that our lunch at Trattoria Al Gatto Nero da Ruggero was one of the best meals we had on our recent Italian jaunt. Regarded as one of the best dining options in Venice, this family-owned trattoria is located on the beautiful outer lagoon island of Burano (a post about Burano will be up on here soon). Specializing in seafood (Burano being an old fisherman’s town and all), Al Gatto Nero boasts incredibly fresh offerings; a majority of which come straight from the lagoon just a few meters away. Reservations are an absolute necessity here, so when I made plans for our Burano day-trip I did a quick search on the web and found what looked like the European version of OpenTable, called MyTable. WARNING: While I received a confirmation e-mail from MyTable, it should be of note that this restaurant DOES NOT work with them and your reservation will not be confirmed. I was in a bit of a panic when I was told we were not in the books, but we were incredibly fortunate to have walked in right after a cancellation. Max, our host (and grandson to the owner), was very accommodating; handing us glasses of Prosecco to ease our grief. Lesson learned: book directly with Al Gatto Nero to ensure your table! With the reservation mix-up taken care of, we dove right on into our seafood feast. We ordered the “Experience”-sized mixed seafood appetizer (around 30 euros) and were delighted when not one, not two, but FOUR plates of fresh seafood arrived at our table. I had been dreaming of Al Gatto Nero’s famed razor clams for weeks and they did not disappoint. Fresh scallops in shell, tender cuttlefish and octopus, delicious shrimp, steamed mussels and clams, and creamy baccala mantecato were only part of this comprehensive platter. If the meal had ended there, I would not have been upset. Thankfully, the feast continued with our two main courses: grilled monkfish for me and fried calamari for the boyfriend. The monkfish was tender, juicy, and had the most amazing grilled flavor; delicate and rich. Unlike any other grilled fish I have ever had. There was no need for any other seasoning, nor lemon juice. Perfect as it was. The handful of calamari that I had stolen off boyfriend’s plate were equally as good– probably the best we’ve ever had with a light, crisp breading but incredibly tender (not rubbery) interior. As much as we would have loved to have eaten their entire menu, we were getting pretty stuffed. So we finished up our bottle of Prosecco and ended on a sweet note with their delectable homemade Tiramisu and some coffee. A meal to remember and a must-try for those heading out into the lagoon in search for a uniquely Venetian experience. Trattoria Al Gatto Nero, Fondementa della Giudecca, 88, Burano, Venezia, Italy.